Designed for long lasting use: sturdy ABS, reflective nylon strap and locking metal clip guarantee great safety performance and consistent control. Flat nylon leash is not easy to be destroyed by dog. Free exploration is guaranteed by 360 degree tangle free design. A desired length can be adjusted easily without slowing down via smooth one-button control. 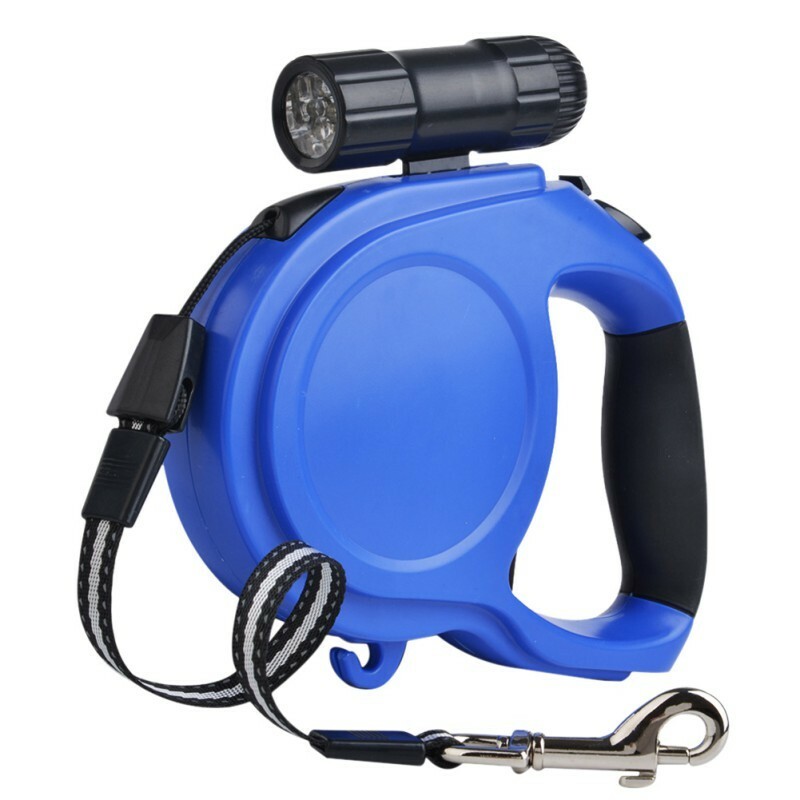 Detachable flashlight makes night walking safe. If you want a comfortable seat in plane, your puppy also has the same wish as you do. As the duty of a pet parent is offering a quality life for your pet, you need to find him a suitable carrier that can make your pet feel comfortable and the size can follow airline's requirement.Most airlines require the carrier to be around 16-19 inches, and about 10 inches tall. Never try to put your pet into a carrier that is too small for him, which can increase his stress in plane. As you are allowed to bring only one carry-on luggage, try to choose a carrier designed with extra pockets to put some other necessary tools you need. Great product. Love the flashlight. I liked the ability to shorten or lengthen the leash as needed. I have nothing unfavorable to say about the leash.